The state of Kerala is known for its religious tolerance, land reforms, impact on health and education, low infant mortality, high literacy rate, and many more unique aspects. Statistically this land of coconuts, with its lush paddy-covered plains and misty mountain peaks, stands out as the Mt. Everest of social development in many ways. Kerala is a tightly packed holiday destination offering a wide range of tourist spots like golden beaches, silvery waterfalls, placid lagoons, adventurous hills and valleys, and tropical forests, as well as exciting activities such as paragliding, water sports, trekking, safari and cruise tourism to choose from. The state is rich in wild life consisting of innumerable species of wild animals, birds and reptiles that are housed in the sanctuaries, reserve forests and eco parks spread throughout Kerala. Kerala is known for its age-old system of healing termed ayurveda, that relies on a multitude of herbs found in remote interiors for curing diseases. The state is as famous for its ancient architecture as it is for its vibrant art forms and festivals which lend it a unique culture. 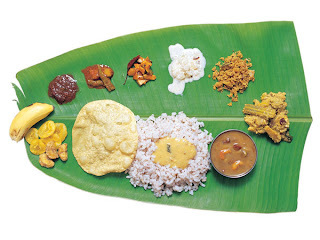 Kerala cuisine is also popular for its tangy taste, the traditional feast or ‘sadya’ being a highlight.